Lucuma, also known as Pouteria lucuma, is a fruit that is native to Peru, Ecuador and Chile. According to the Convention on Biological Diversity, Lucuma is also known as the “Incan Golden Fruit.” It typically grows in climates with temperate elevations and can also be found in Mexico and Hawaii. It's rich in various nutrients and has become increasingly popular due to its antioxidant properties. The lucuma fruit can be easily damaged, so it's typically sold as puree, pulp or powder. You may also find lucuma in ice creams, juices and marmalades. Eating lucuma provides a wide variety of benefits. Every 100 grams of lucuma contains 1.1 grams of fiber and 2.3 grams of protein. When ground into a powder, lucuma is extremely rich in calcium and potassium. Powdered lucuma has more nutrients and fewer calories than the fruit. All of the vitamins and minerals in lucuma are nutrients that you should be consuming on a daily basis. Serving as an aid for breastfeeding mothers. Lucuma has been shown to promote lactation in women after giving birth. This can be very helpful for new mothers. Increasing the formation of blood vessels and enhancing wound healing. These benefits are primarily found in lucuma’s nut, but may also exist in the fruit. Helping to reduce hypertension and manage diabetes. Lucuma has been shown to help manage high blood sugar and high blood pressure that have been associated with diabetes. Although lucuma may not be a fruit you’re very familiar with, it's been used in medicine for many years. Use of lucuma in medicine dates back to the 19th century when it was used to treat skin problems such as warts and blemishes. It's also been used to treat stomach, bladder and urinary tract diseases. Lucuma doesn’t typically grow in America, so it can be hard to find fresh lucuma fruit. However, the United States is one of the biggest importers of lucuma powder. Lucuma powder is also known as lucuma flour. This product is made by drying the pulp of the lucuma fruit and pulverizing it. Four kilograms of fresh fruit are needed for every kilogram of lucuma powder, so this powder is extremely rich in nutrients. Lucuma powder can be used as a natural sweetener in baked goods, fresh juice, smoothies and a variety of other food products. Lucuma can even be used to make ice cream. 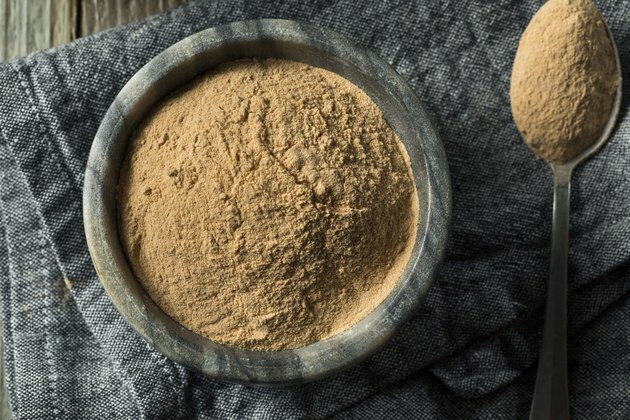 Using lucuma powder is an easy way to integrate a wide variety of vitamins and minerals into your diet. What are the Benefits of Forever Living Aloe Berry Nectar?